UFO SIGHTINGS DAILY: Alien UFO Secrets at Macquarie Island, Australia May 2016, Video, UFO Sighting News. Alien UFO Secrets at Macquarie Island, Australia May 2016, Video, UFO Sighting News. This UFO was found on an Australian cam by Streetcap1 of Youtube. 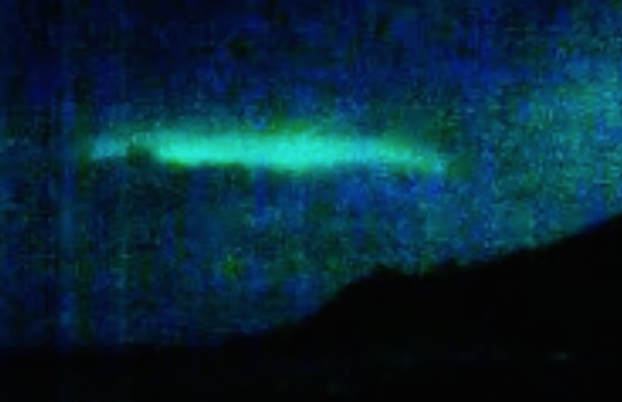 It shows the side view of a large green glowing disk moving over the mountains. These live cams are excellent tools for all UFO researcher because they allow the person to be everywhere at once. In 5 minutes, you can check 100 cams. Check this out on the LINK before the Movie changes. This is the Station that has a constant Laser firing into Space, as per my recent videos. Why would you have a laser firing into space - to attract ufos of course. Streetcap1.